"Cloud Dancer". 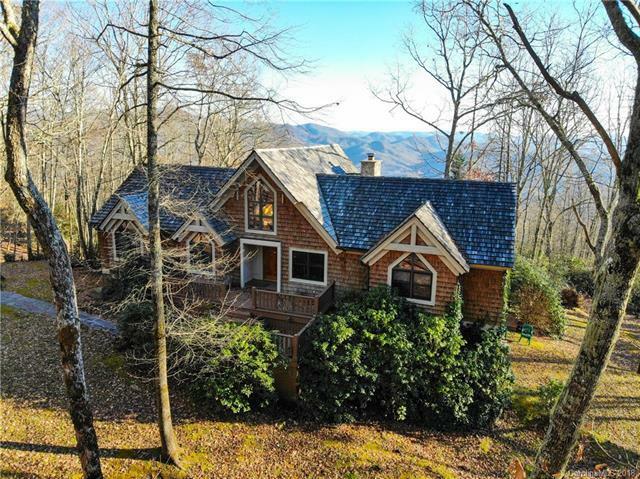 Enjoy uninterrupted views of the Smokies in all their grandeur. 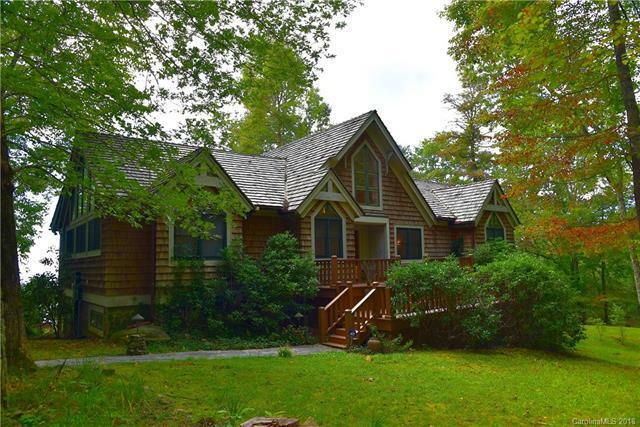 This home is beautifully crafted with cedar shake siding and shingles on the outside. The inside has all the special, top of the line, touches that make it one of a kind. 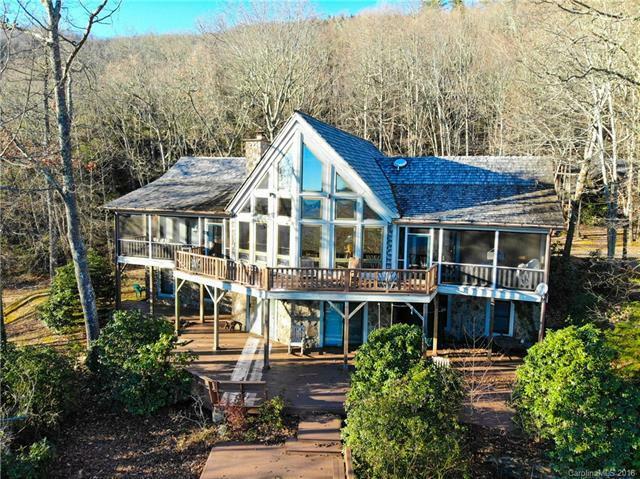 Granite counter tops, gleaming hardwood flooring, astounding rock work, ample decking-what more could you want. 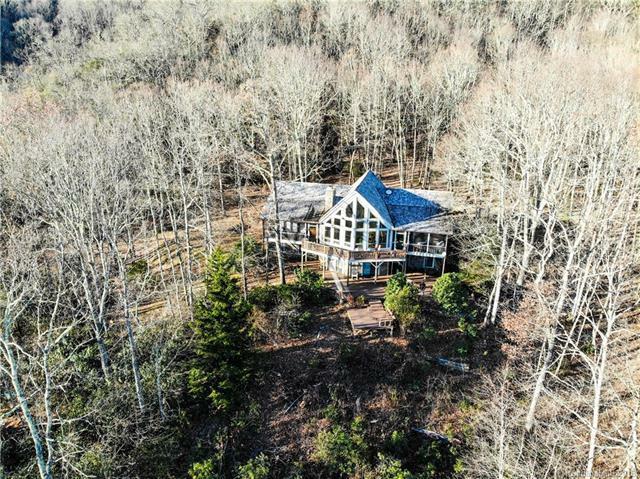 Property consists of 16 private acres with three groomed trails, a gazebo to sit by the natural waterfall and several additional building sites. Plenty of water on the property to make your own trout pond, an unfinished studio apartment above the garage, a second living quarters in the finished basement and a wine cellar. This well maintained home has all you could ever need or want! The data relating to real estate on this Web site derive in part from the Carolina Multiple Listing Services, Inc. IDX program. Brokers make an effort to deliver accurate information, but buyers should independently verify any information on which they will rely in a transaction. All properties are subject to prior sale, change or withdrawal. Neither MECA Realty, LLC nor any listing broker shall be responsible for any typographical errors, misinformation, or misprints, and they shall be held totally harmless from any damages arising from reliance upon this data. This data is provided exclusively for consumers' personal, non-commercial use and may not be used for any purpose other than to identify prospective properties they may be interested in purchasing. © 2019 Carolina Multiple Listing Services, Inc. Data last updated 2019-04-22T18:58:45.113.